With more than 14 million members across 185 countries, Zumba Fitness is a global lifestyle brand that fuses fitness, entertainment, and culture into an exhilarating dance-fitness sensation. Zumba needed to streamline fulfillment with big box retailers to take advantage of emerging omnichannel opportunities to expand in the retail partner channel, capitalizing on its strong brand recognition and popularity. 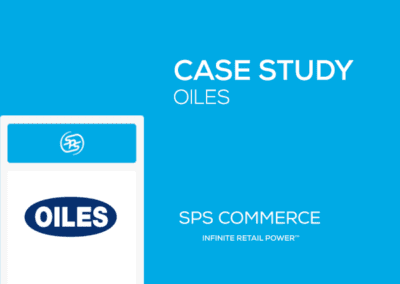 A cloud-based omnichannel solution from SPS Commerce interoperating natively with NetSuite has given Zumba scalable and efficient fulfillment. Avoiding the cost of four full-time personnel otherwise required to process transactions with retailers such as Bed Bath & Beyond and Costco while gaining the agility to integrate new partners as needed. Seizing business opportunities as they arise depends on the ability to marshal the right technology quickly and effectively. The distinction between winners and also-rans is increasingly tied to IT agility that enables fast-growing retail companies to execute on omnichannel initiatives faster and more decisively than the competition. That’s the case at Zumba Fitness, the global fitness brand that since its founding in 2001 has grown to more than 14 million participants at 140,000 locations in 185 countries. Zumba’s huge popularity among fitness enthusiasts opened a compelling new business opportunity—selling branded DVDs, exercise equipment, apparel and more through brick-and-mortar retail locations. Sizing up growth potential in the retail partner channel, Zumba recognized it would need a fulfillment solution to meet requirements of big box retailers and eliminate the high time and cost of manual transaction processing. These requirements became more apparent as Zumba got underway in the retail market several years ago, complementing its direct-to-consumer e-commerce site at www.zumba.com. In addition, SPS Commerce integrates natively with the NetSuite OneWorld solution that Zumba had used since fall 2011 to run its core business processes, including global financial management, inventory and order management, and CRM. A NetSuite SuiteCloud Developer Network (SDN) partner since 2007, SPS Commerce delivers cloud-based solutions for NetSuite that enables retailers to enhance collaboration, efficiency and data accuracy for more intelligent online, mobile and in-store commerce through the retail ecosystem. An initial implementation of SPS Commerce in 2012 to connect with retail partner Bed Bath & Beyond took less than 45 days, Gobeli said. That success was soon followed by a Costco integration, streamlining processes to get Zumba products on the shelves of hundreds of U.S. retail locations. Zumba’s payback has been impressive. 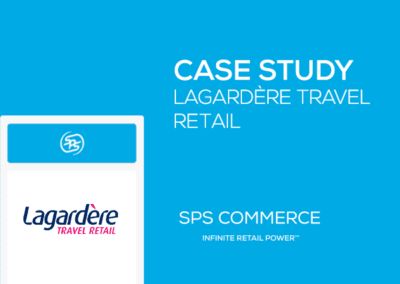 The company is avoiding the cost of four full-time personnel otherwise required by using the SPS Commerce/NetSuite solution to automate between 500 to 800 daily transactions with large retail partners, exchanging purchase orders, invoices, purchase order acknowledgements and more. Zumba has accelerated order processing, which previously took about 15 minutes of manual work per order, and increased accuracy by eliminating the risk of human error. Zumba has also extended its SPS Commerce solution with a third-party logistics (3PL) partner that handles fulfillment from several distribution centers. As its retail channel evolves, Zumba is positioned to scale up on demand to meet partner requirements and ultimately drive greater brand recognition and revenue in consumer markets. Zumba is among hundreds of companies leveraging omnichannel solutions from NetSuite and SPS Commerce, named the NetSuite SDN Partner of the Year in 2012. 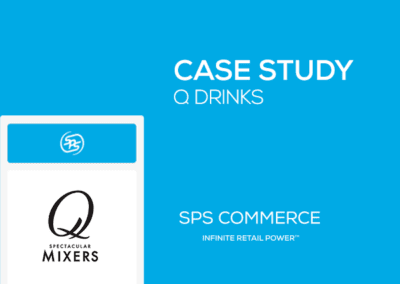 David Novak, Executive Vice President at SPS Commerce, said Zumba’s success is a testament to the value that companies in retail markets can achieve with the SPS Commerce/NetSuite solution. 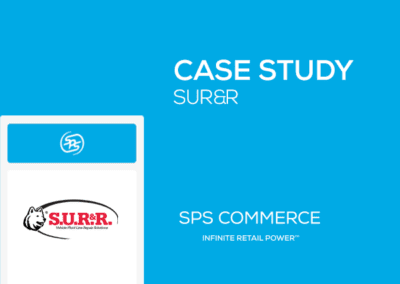 With SPS Commerce, Zumba is building on the success it has realized since implementing NetSuite OneWorld to replace Salesforce.com, QuickBooks, and a custom-built ERP system. Real-time visibility and process synchronization in NetSuite has enabled Zumba to improve business performance and profitability and better manage its global presence in nearly 200 nations around the world. SPS Commerce Fulfillment for NetSuite delivers new efficiencies for suppliers across the globe.